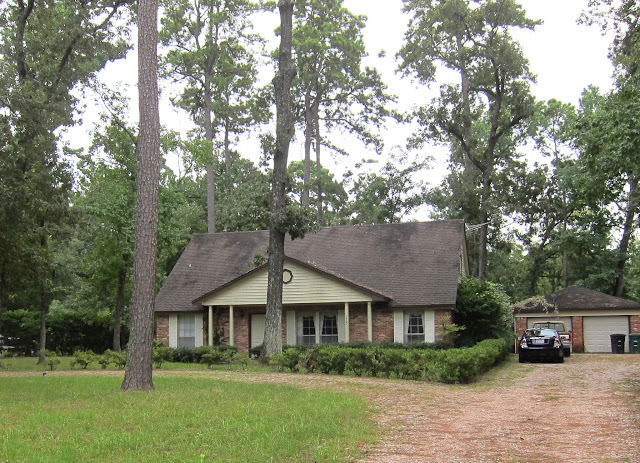 I guess this post really begins September 2014, with what the ranch house looked like when we first made an offer. It was hidden behind a large tree and 50 plus (yes you read that right) boxwood shrubs. 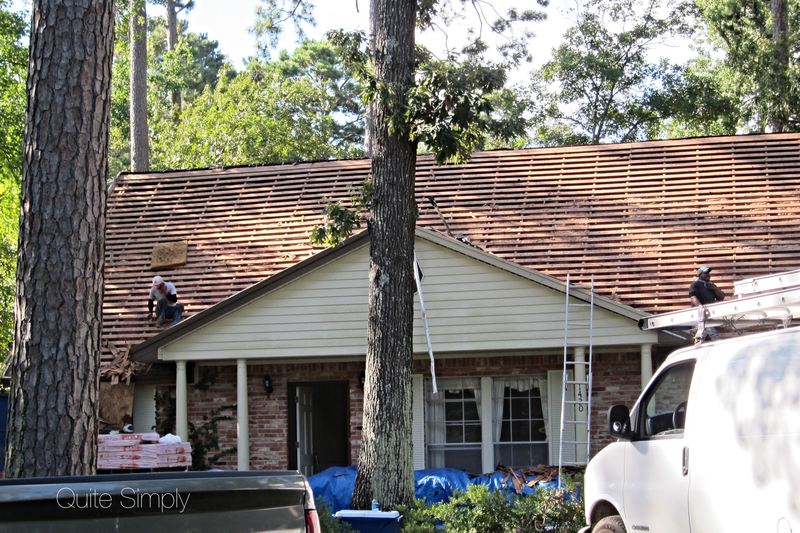 The first thing that happened after closing was the old roof came off. The large tree came down and we put a new door on the front. 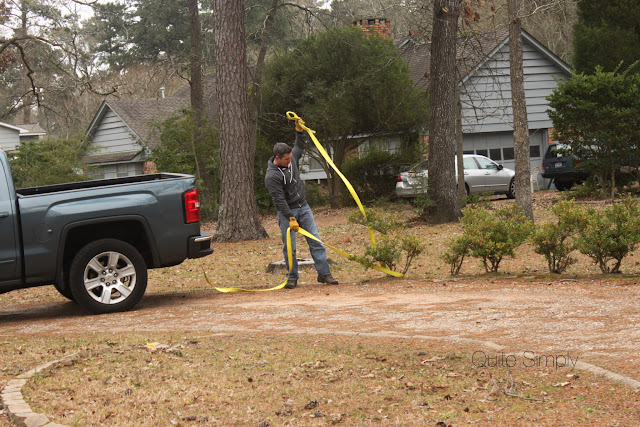 And we kept removing box woods a few at a time. We also replaced all of the soffet work on the front of the house. Then there was that day that Mr. Wonderful went out to fix the door bell and started removing vinyl siding. So this is what it looked like for a while. 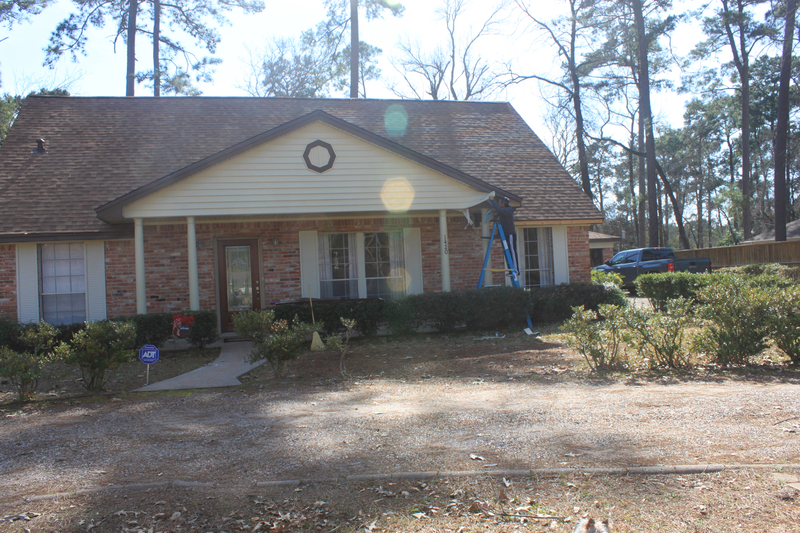 We then removed the remainder of the boxwood shrubs, removed the shutters and took out the columns. 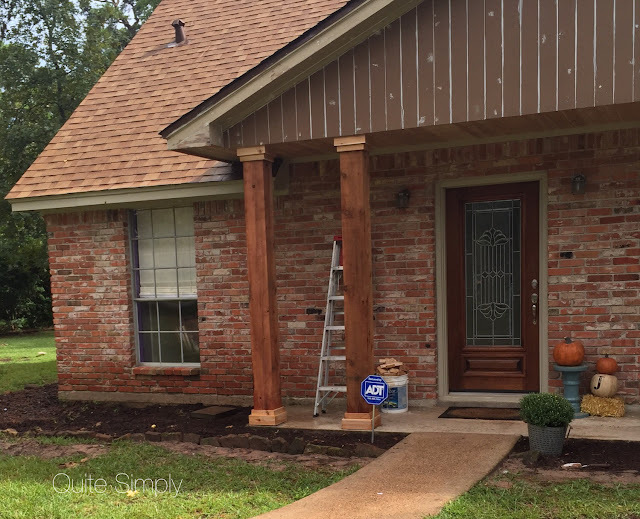 We replaced the columns with cedar posts, trimmed in cedar. 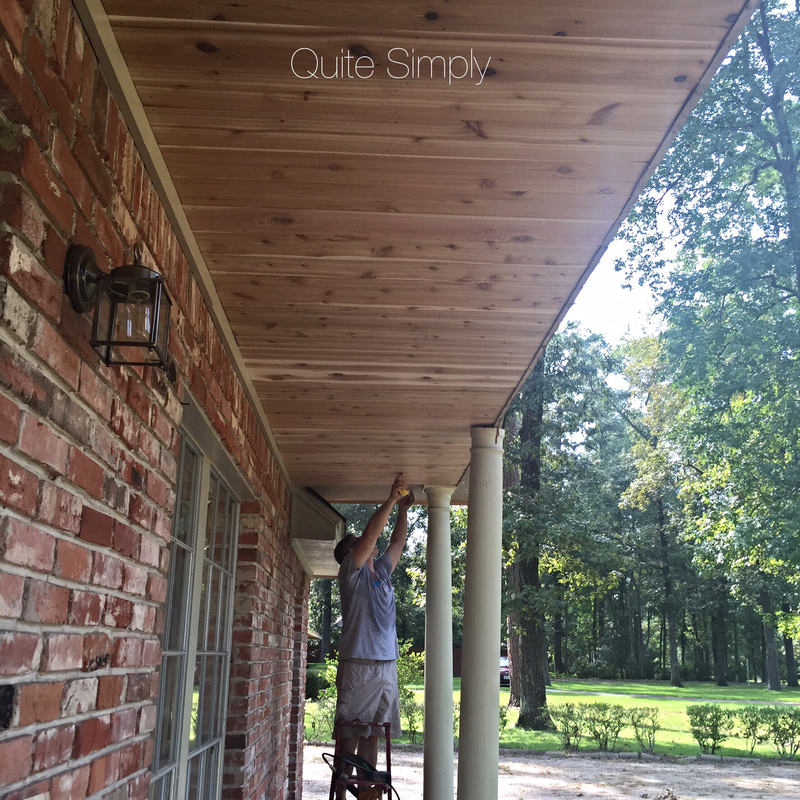 We also planked the ceiling of the porch with cedar. 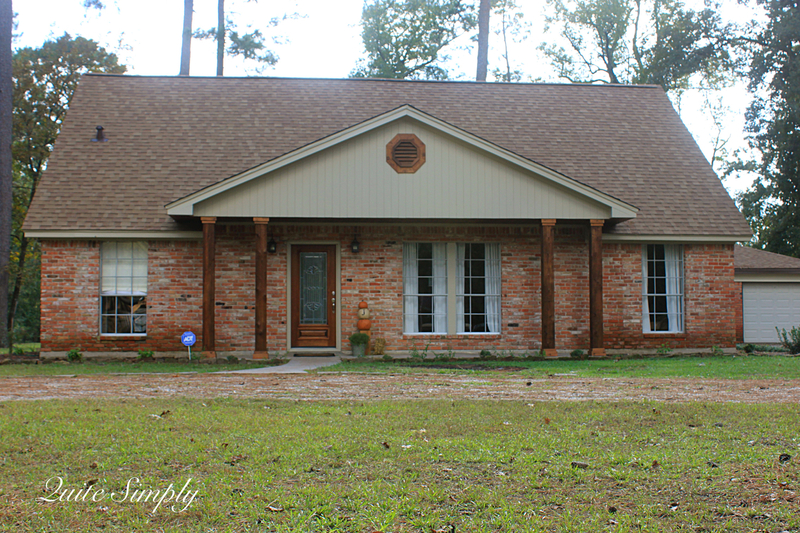 We painted all of the trim, stained the cedar, planted low growing landscape and replaced the lights with larger ones. Look at the difference in the two lights. Here is where we are today and I couldn't be happier. It took 14 months to get it completed working as we had time and resources! 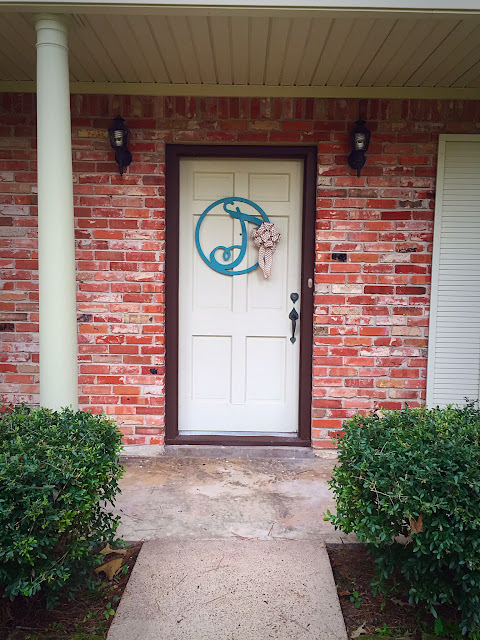 We have to add our house numbers, but for now it is completed. What a joy it is work on our house with my bride! Very impressive! Beautiful home of beautiful people! You both are amazing!!! It looks fabulous! Nice work, Susan and Mr. Wonderful. 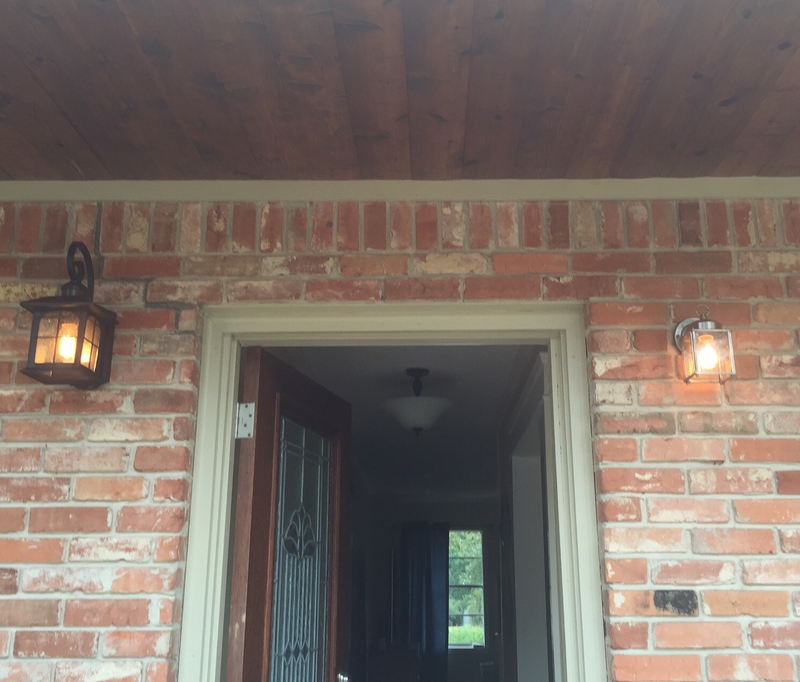 I like the cedar planking on the ceiling of the porch. The stain looks really good. Cedar is such a great rot resistant building material. The space around the house now that the trees are gone must let in a lot more light. It also makes the whole front of your house look more welcoming.